We want to get to know our church family better, and we want to give you the opportunity to creatively express the unique story God is authoring in your life. Whether you’ve been a part of Calvary for years or just joined us recently, we would love to hear your story. As we follow Jesus together and face common struggles along the way, we believe sharing our stories will encourage the faith, hope, and love of others in our community and even around the world. What would you say to someone that asks how Jesus has changed your life? For example, what’s the story of when you first trusted in Jesus as your Savior and He forgave you fully; when He enabled you to forgive another person; when He healed you of a broken heart; when His grace filled you in times of grief; when He strengthened you to love an unlovable person; when He helped you persevere through difficult circumstances; when He called you to serve Him in some type of ministry? God is doing amazing things at Calvary Church, but we are most in awe of the fact that individual lives are being forever changed. 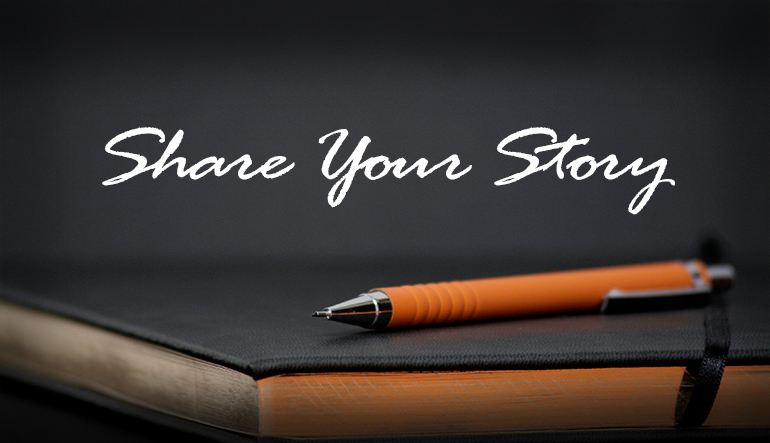 Use the form below to submit your story of how Jesus changed your life. We love hearing stories of how Jesus has changed lives at Calvary! We may look for ways to share some stories in a worship service or online. Don’t worry, we won’t share your story without your permission. So, be sure to include your contact info.